The retrofitting, rebuilding, remodeling, decorating and upgrading of older trailers is growing in popularity throughout the country. Their uniqueness and attractiveness is spreading with a rise of clubs and organizations who display their handiwork during rallies and shows. High-quality workmanship is the norm, and much of the finish craftsmanship is excellent. These original units have for the most part, been restored with parts and accessories from original trailers, in some cases after years of searching for hard-to-get items. However, some of the acquisitions and re-installations can include now-prohibited items such as propane interior gas lighting, unvented propane space heaters, stove cook tops or range ovens used for comfort or interior space heating. Since many trailers were originally produced before detector requirements, they may not comply with today’s recommendations. Defined as luxury camping or glamorous retro camping, “glamping” campers are found throughout the U.S., Australia, Europe, and other parts of the world. Aside from vintage trailers, this trend includes yurts, some tiny houses, tents and others. Occasionally, some of the retro units are paired with vintage towing cars that are often displayed together. An advertisement for one event only allowed vehicles 25 years or older. As early as 1940, the National Fire Protection Association had developed a fire prevention standard for trailers. In the 1960s, the Trailer Coach Association evolved into NFPA 501C and is now NFPA 1192 Recreational Vehicles. NFPA 1192 is published and revised by committee action, and proposals are voted on approximately every three years. Inspections occur when units are new, and are handled by the factory, Recreational Vehicle Industry Association (RVIA) and various state governmental organizations. Manufacturers adhere to this standard for the safety for the purchaser. The NFPA fire safety standards include requirements to install and maintain safe electrical systems and installations; properly install and maintain smoke detectors, LP-gas detectors and carbon monoxide detectors; fire extinguisher requirements, including placement and location, as well and placards or decals noting auxiliary exits. All of these are for the purpose of life safety and to rapidly get all occupants safely outside in case of a fire. 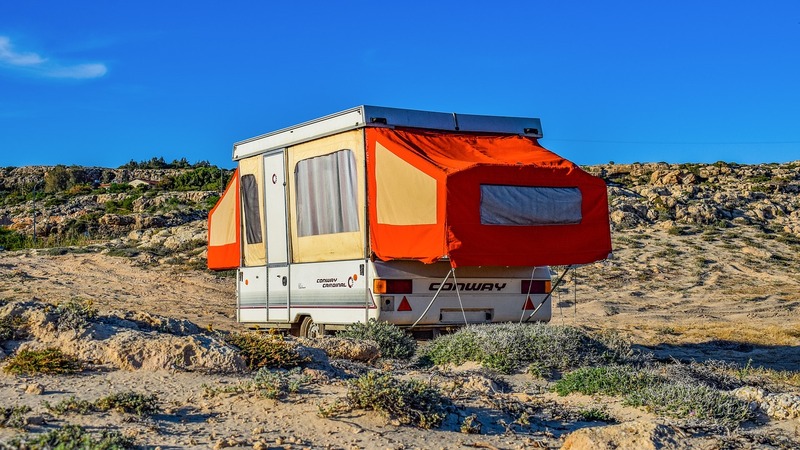 Unfortunately, retro builders and prospective buyers of used recreational vehicles (RVs) may not be familiar with these safety requirements. At a recent retro RV show displaying over 30 “glamping” units, only one older smoke detector was observed positioned in place among the trailers on display; no other fire safety or warning devices had been installed. NFPA 1192 addresses only new model trailers – the RV code does not apply retroactively to pre-code dates; and the code is voluntary. LP-gas interior lighting appliances were discontinued in the late 1960s or early 1970s, due to carbon monoxide poisoning, injuries and fatal fires that occurred. Detectors used for most RVs include carbon monoxide (CO), and are now required whenever gas appliances are used inside. 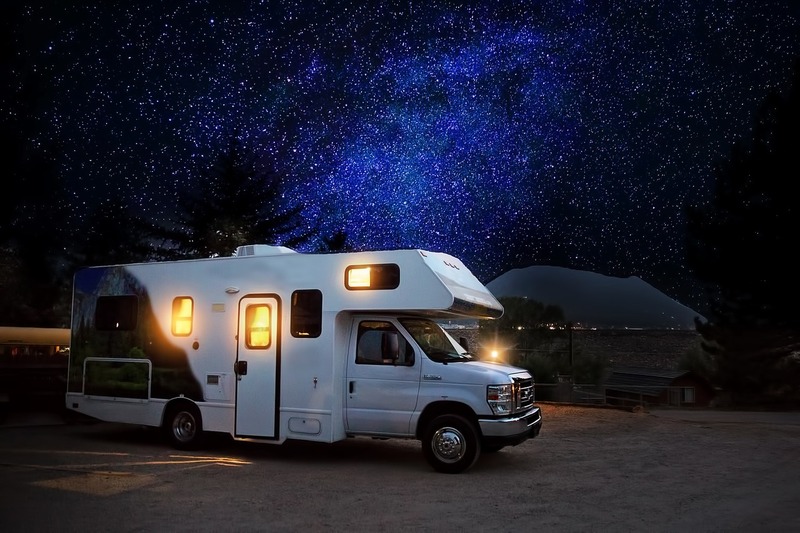 LP-gas alarms, also known as propane detectors, are found installed in all newer recreational vehicles, and when properly installed, have a successful record of saving untold lives from fire and explosion. Smoke detectors are not used in all RVs, and many fire fatalities occur when smoke or combustion products overwhelm victims. Too often, occupants remove detector batteries because the alarm makes noise, or to use them for other purposes. Most RVs are required to have a secondary means of escape, which is usually a window with special opening hardware. Many of these windows have dedicated opening levers and a permanent label with the word “Exit” in red, one-inch high letters. The owner or seller should demonstrate to the occupants how the latches open and remind them to exit feet first through the windows as safely as possible in case of an emergency. Sales of pre-owned trailers between private parties, frequently imply “buyer beware, as-is” with no warranty. However, if a defective or recalled product is knowingly sold to an unsuspecting buyer and an accident results – there may be some liability to the seller. The Consumer Product Safety Commission and the National Highway Traffic Safety Administration may provide information regarding recalls. A prospective buyer, seller or builder of an older vintage, retro or glamping trailer should be familiar with the in-place safety requirements published by the National Fire Protection Association; notably NFPA 1192 Standard on Recreational Vehicles, NFPA 58 Liquid Petroleum Gas Code, NFPA 70 Electrical Code, NFPA 10 Fire Extinguishers, and articles from various manufacturers and suppliers. Information on how to maintain these products in accordance with manufacturer’s requirements is available through the manufacturer or retailers. Most camping equipment dealers and repair facilities can assist with the latest requirements for fire safety. Proper installation, periodic inspection and maintenance of safety detectors are a must, and detectors should be tested on a regular basis and replaced as necessary per RV parts manufacturer guidelines. As products have different manufacturers and functions, detector life spans do vary. A general rule of thumb is to check all detector batteries monthly. 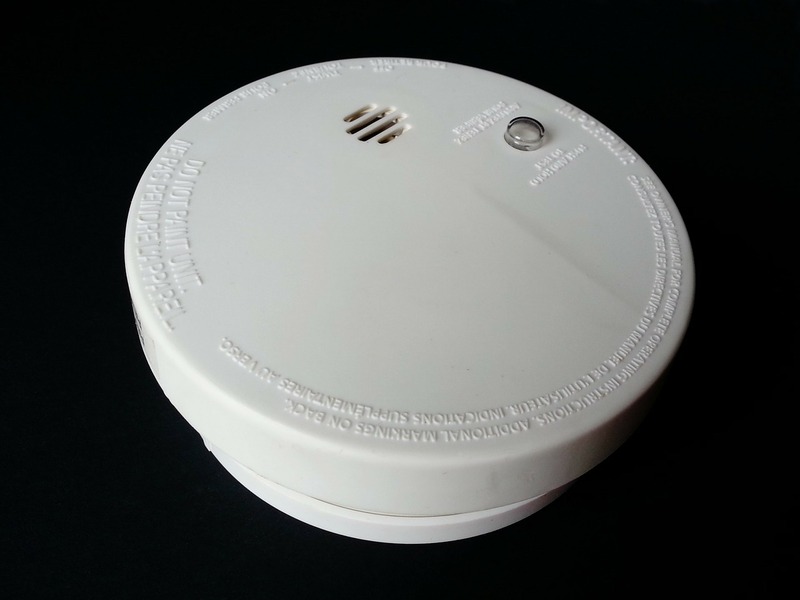 Some detectors have a five-year lifespan; smoke detectors are generally 10 years. For continued peace of mind, replace batteries when applicable and gently clean with a vacuum to remove dust and cobwebs. Interior flammability is also important to consider. Light, flashy fuels are generally used for interior wall finishes, including wall coverings and foam cushions, and can allow a fire to spread extremely fast in some cases. Fire tests we have conducted demonstrated an RV can burn to the metal frame in less than 10 minutes; therefore, immediate knowledgeable about exiting is paramount to prevent fatalities or injuries. The object of camping, glamping or other recreation is to enjoy nature and have peace of mind, which is achieved by having units provide a safe and secure environment. 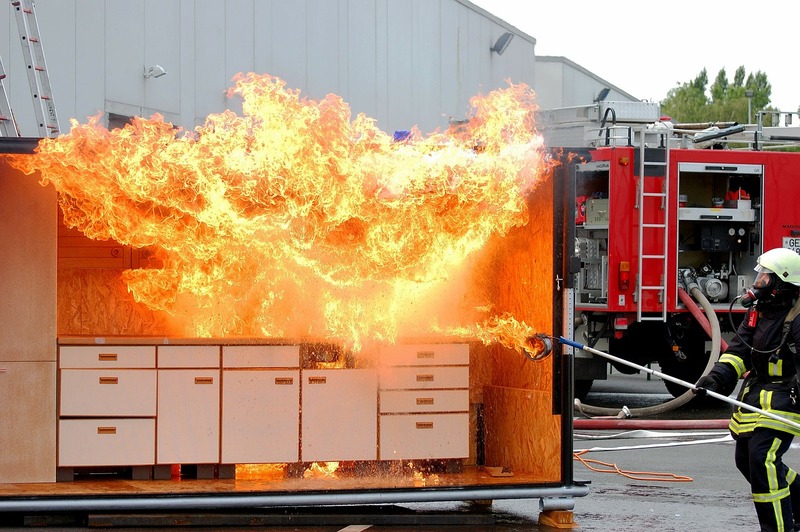 Since fire detectors significantly reduce the risk of potential fires, injuries and fatalities, and insurance underwriters are interested in preventing such catastrophes, including a few check-off boxes during the insurance application and underwriting process can make it easier for insurers to identify which trailers may have a lower or higher fire risk. Some insurers have also recommended permanently disconnecting potentially dangerous open flame propane fixtures and capping the flow the source as another means to reduce fire risks. Using appliances deemed unsafe for decoration only will further minimize any safety risks. These suggestions will help protect occupants from heat, fire, poisonous products of combustion or smoke when combined with fire extinguishers and easily identifiable marked auxiliary exits. Insurers, inspectors and owners can collaborate to ensure a safer recreational environment for all.